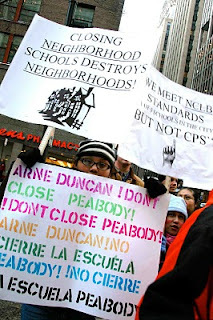 CPS is again ignoring community voice and public opinion and is proposing to close about 20 schools (or "turnaround" or consolidate or "phase out"). This is a continuation of the privatization/corporatization/destruction of public education in the city. 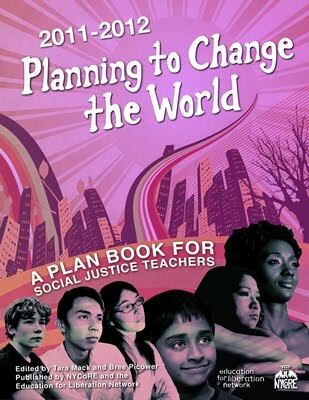 R2010 is, and always was, a BUSINESS plan (linked to gentrification and the displacement of low-income people of color), it NEVER was an educational plan! A strong coalition including many community organizations, school reform groups, the Chicago Teachers Union, the union rank and file caucus, and MANY teachers/parents/students from the affected schools are opposing and organizing on a city-wide basis. We are asking for people to come to 125 S. Clark St. (Board HQ) at 3:30 for a massive public protest. If enough people show up...we can make our voices heard! We are also asking all CPS teachers to take a personal day and COME to the Board meeting. IF YOU WANT TO SPEAK, YOU NEED TO BE THERE VERY VERY EARLY (like 6AM) to sign up (first come, first served). And if you spoke there last month, you cannot this month. Pack the Board Chambers! Come to the mass public protest at 3:30! The CTU is chartering buses from the affected schools, so our numbers should be large. Make your voice be heard too!!! If you know anyone affected who would like to be involved, please contact us. teachers/parents/students from the affected schools.